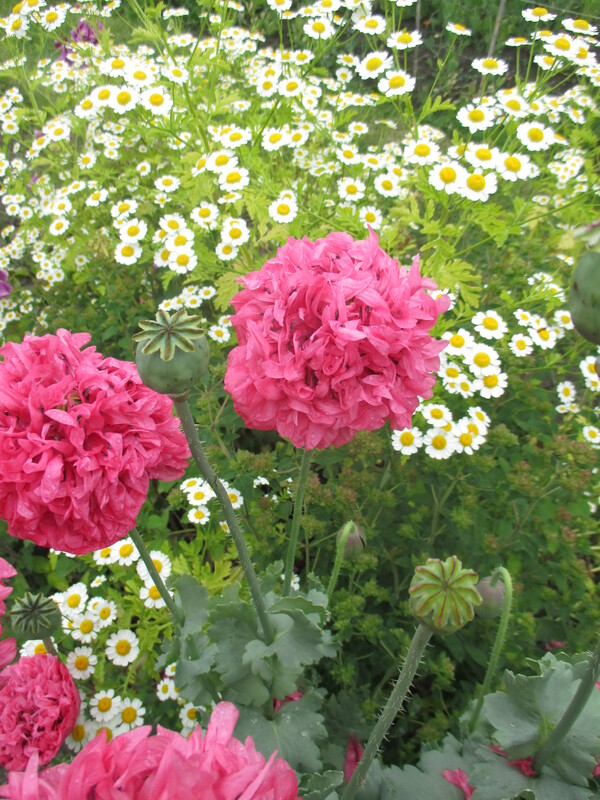 Opium poppies and feverfew self seed in the uncultivated part of the garden – but make an impressive show nonetheless. 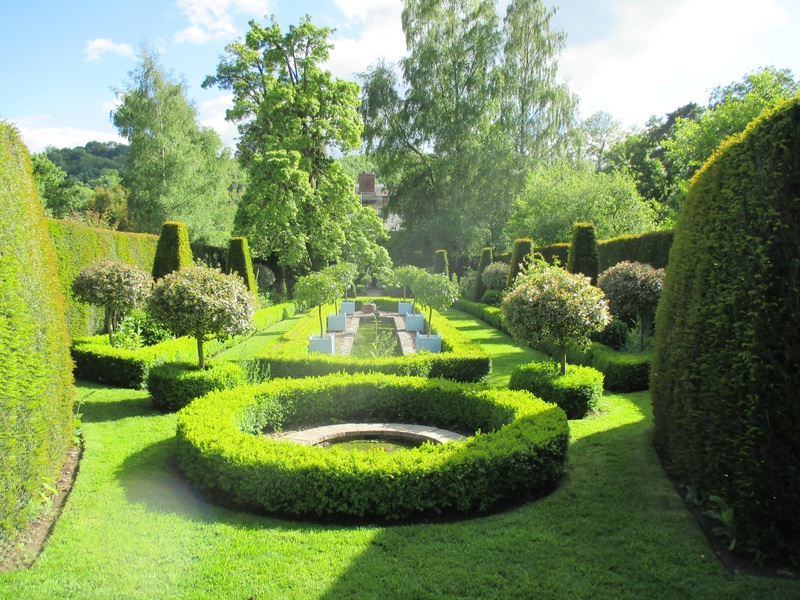 The Dower House Garden at Morville Hall in Shropshire is a hidden gem – not to be missed.It is a wonderful garden which we saw on a beautiful June day in 2015. 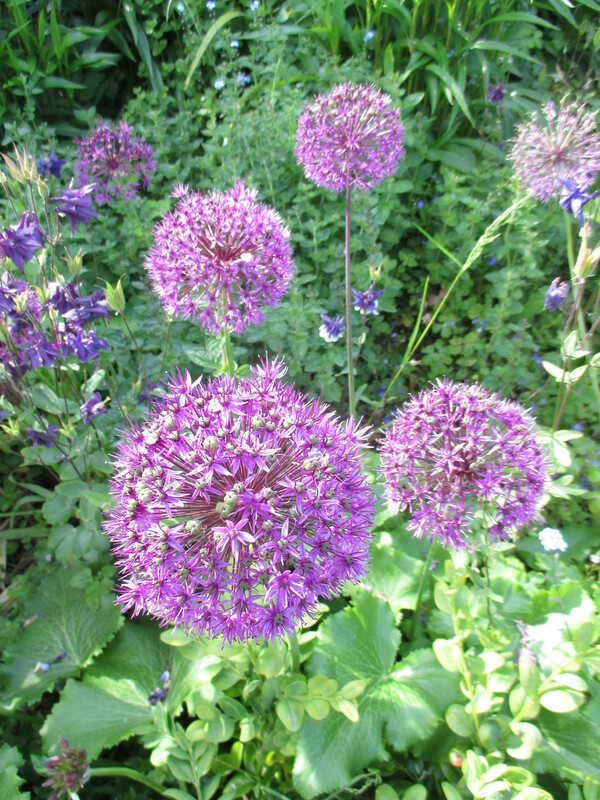 These allium flowers sparkle in the sunshine. Wonderful Garden created by Dr Katherine Swift. Not to be missed if your are in Shropshire. Anthony J Sargeant and friends visited on a glorious day in early June 2015.